Jelinek Cork mosaic cork floors, also known as penny tiles, are produced from recycled wine stoppers. The wine corks are cut into circular discs and adhered to a paper backing to form mosaic patterns. Jelinek Cork, the exclusive rights holder of this cork flooring concept, uses recycled corks and cork waste to produce beautiful, ecologically friendly cork floors. 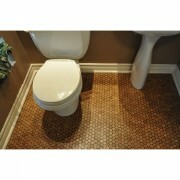 Jelinek Cork Mosaic floors can remain natural cork color or be stained to any other color. These floors have all the characteristics and benefits of regular cork floors but besides being suitable in most common rooms such as bathrooms, kitchens and entrance ways, they are also suitable for saunas, showers, pool surrounds, and other potentially wet areas. 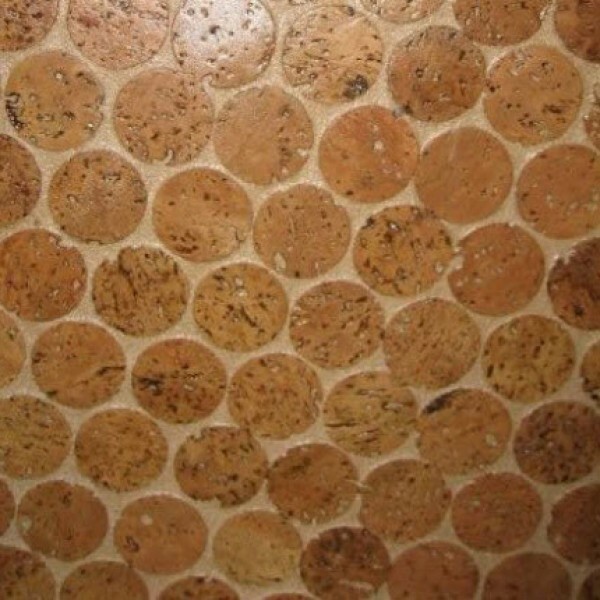 Along with flooring, Jelinek Cork Mosaic also looks and functions beautifully on walls, back splashes and counter tops. SKU: 1008. Categories: Brands, Cork Floor, Jelinek Cork Group.